The Court of Appeals of Maryland, in Spacesaver Systems, Inc. v. Adam, has held that an employment agreement which contained a “for cause” termination provision, no durational provision, and no “at-will” provision, constitutes a “continuous for-cause” contract. Your business has weathered a rocky economy. You have looked for expenses that can be trimmed from your budget. You eye the number entered next to “Legal Expense” and think that maybe you could reduce it by using some form contracts or drafting your own. Most assuredly, you would only think that way if you have never been involved in litigation. CIGARETTE SMOKERS — REJOICE! This past summer you may have found a new friend in the Maryland Court of Special Appeals. 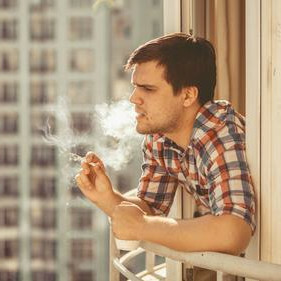 In July, 2013, the court may have introduced a breath of fresh air into the nicotine stained and smoke filled rooms of private homes all over the State. Schuman v. Greenbelt Homes, Inc., 212 Md. App. 451 (2013). Here’s what happened.